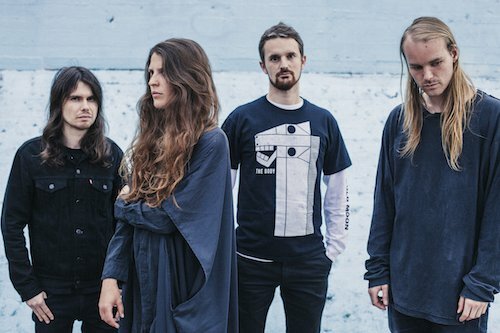 Oathbreaker are a post-metal band from Ghent, Belgium. After their formation in early 2008, Oathbreaker released a debut self-titled 7" EP on the British label Thirty Days Of Night Records. The release was well received by many worldwide and propelled the band to tour Europe. They released their debut album "Mælstrøm" in 2011 and the follow-up Eros|Anteros, on Deathwish Inc. in 2013. On September 30th 2016, the groundbreaking album “Rheia” will be released. Engineered, mixed, and mastered by Jack Shirley (Deafheaven, Loma Prieta). "Rheia" is a true game changer for the genre. Blurring lines and dissolving the boundaries of heavy music as we know it today. Opener "10:56" begins with a haunting guitar riff and Caro Tanghe's beautifully sung vocal before abruptly soaring to new heights with "Second Son of R". Its blasts of melody mutate into a blackened buzz while waves of tempo changes pound down with intense emotional weight. "Being Able To Feel Nothing" then rolls in like a storm. Chaotically breaking apart to reveal the eye before churning once again. "Stay Here / Accroche-Moi" is an otherworldly reverb drenched acoustic number that leads to "Needles In Your Skin". A deeply personal song that showcases the artistic strength vulnerability brings. It's hard to believe that this is just the half way point of this post everything masterwork. "Immortals" then unfurls as a goose bump inducing monster. This leads to the ambitious "I'm Sorry, This Is", "Where I Live", and "Where I Leave”; A musical triptych that needs to be heard to be believed. All of it comes to an end with mesmerizing closer "Begeerte". Ethereally materializing before vanishing into the beautiful unknown.